GOOD LUCK TO ALL AJA MEMBERS FOR AINTREE! 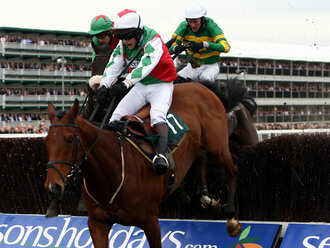 Car passes will be posted out to all AJA members riding at Aintree following declarations. Please note that the address held at Weatherbys AJA Membership Desk will be used unless otherwise advised so please call the AJA if you have moved recently and make sure that your records are updated!! Good luck to all amateur jockeys! With the start of the Flat season looming and a welcome addition to the gentlemen’s calendar kicking off the season on Sunday next at Doncaster, interest in the NH Championships intensified today when Danny Cook rode a beautifully executed double at Plumpton for the second time in his career. His first visit to the winner’s enclosure was on the winner of the seller, Mrs Young’s Strategic Plan, and then for his guv’nor David Pipe he took the 3 mile Handicap Chase on Freeze Up. This closes the gap on current leader Oliver Greenall, currently sidelined following his nasty fall at Cheltenham, to one, with Oliver still retaining the lead in the Championship table with 17 winners. Meanwhile Lucy Horner extended her lead on her rivals in the Ladies Championship last week with a winner taking her total tally so far this season to 9 winners, 5 ahead of her nearest rival Rachael Green. BOLLINGER ANNOUNCE CHAMPAGNE SUMMER FOR GENTLEMEN AMATEURS! We are delighted to announce Bollinger’s 16th year of loyal patronage of The Bollinger Champagne Challenge Series for Gentleman Amateur Riders. The champagne house generously supply the winning rider and runner-up in the series with Bollinger champagne as well as the winning owner, trainer and rider of each individual Bollinger race. This year the series consists of 12 races culminating in the finale at the prestigious Ascot Autumn Festival on Friday 25th September. The Bollinger Champagne Challenge Series has undoubtedly contributed towards improving standards of race riding for gentlemen amateur jockeys, honing their skills to allow them to give a more polished performance in the saddle. The AJA are most grateful to Bollinger, and especially Simon Leschallas, for their unstinting support and highly value their generous sponsorship. It was a great week for the amateurs, and especially for the ladies with 3 lady jockeys winning on Monday: Claire Allen (Stratford Hunterchase); Lucy Horner (Taunton) and Zoe Lilly (Plumpton). 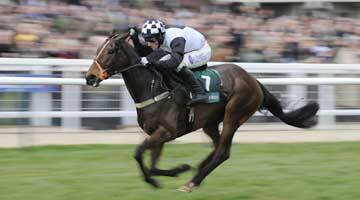 Cheltenham’s first day on Tuesday saw Nina Carberry win the Cross Country on Garde Champetre for Enda Bolger (pictured below) whilst Nathan Moscrop won the Hunterchase at Sedgefield. Wednesday’s Huntingdon card saw the 2nd of Home-Tek’s ladies hurdle series won by Georgina Andrews. 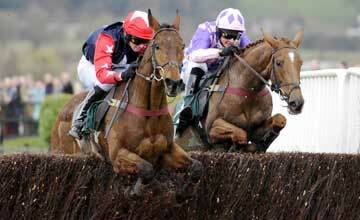 At Cheltenham, our biggest amateur races of the season were as spectacular as ever with Sam Waley-Cohen winning the newly scheduled first race of Wednesday, the National Hunt Chase, on the Million in Mind’s Tricky Trickster for Nigel Twiston Davies (pictured below). The final race of the day, Weatherbys Champion Bumper, was won by Brian O’Connell on Philip Fenton’s Dunguib (pictured below). Will Biddick rode the biggest win of his career against professionals for Venetia Williams on Thursday with Something Wells (pictured below) winning the Freddie Williams Festival Plate. 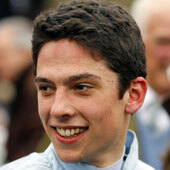 The Kim Muir was won by Jamie Codd on Character Building for John Quinn (pictured below). Oliver Greenall, currently in leading position in the Gentlemen’s Amateur NH Championship for this season, was very unfortunate in fracturing ribs, puncturing a lung and bruising his spleen in the Pertemps Final when his horse Heathcliffe hung badly coming into the straight and unshipped him. He is now home following a spell in hospital and we all wish him a speedy recovery and look forward to seeing him back in the saddle. 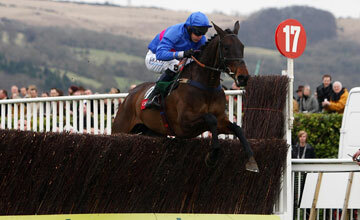 Friday’s Christie’s Foxhunters was won by Richard Burton on Cappa Bleu for Sheila Crow (pictured below). 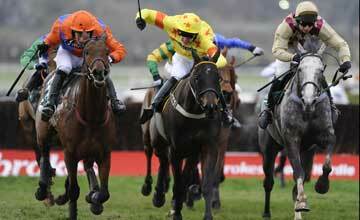 Meanwhile at Fakenham Georgina Andrews rode her second win of the week in the Hunterchase. And finally on Saturday, Lucy Horner enjoyed her second win of the week at Wetherby for Chris Grant, extending her lead in this season’s NH Ladies Championship and Edward Glassonbury enjoyed winning the last race of the day there and his first winner under Rules, the pro-am bumper. What a week! Very many congratulations to all winning amateur jockeys!! AN IMPORTANT REMINDER TO ALL CHELTENHAM BOUND JOCKEYS! THE BHA on Sunday called on riders to obey racing’s whip instructions at the Cheltenham Festival, which suffered a public relations setback 12 months ago when nine jockeys were found guilty of transgressing the rulebook. Tony McCoy, Ruby Walsh and Robert Thornton were amongst those professional jockeys called before the stewards at last year’s Festival, after which the British Horseracing Authority and Professional Jockeys Association met to seek solutions to the problem. The BHA’s Head of Stewarding, William Nunneley, will brief jockeys at the start of each day. 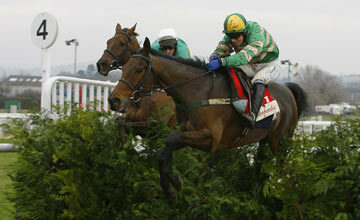 There is a risk of MISSING THE FOXHUNTERS AT AINTREE should a jockey pick up a big whip ban at Cheltenham! Offence taking place on Friday 13th March:	First ban 27th March: a ban of 4 days would be automatically deferred away from a day when a Grade/Group 1 is scheduled. ARE YOU THINKING ABOUT TAKING OUT YOUR LICENCE? OR LOOKING TO IMPROVE? THEN READ ON! Thinking about taking out your licence? Already have your licence and looking to improve? The British Racing School in Newmarket is running a fully residential 3-day course for all aspiring amateur jockeys to include training with dedicated jockey coach Richard Perham and full use of their state of the art facilities. Richard Perham, ex-professional jockey with a career total of over 450 winners, will help to significantly improve jockey’s position, balance and ability to ride a finish effectively using simulators, horses and video review techniques. “This course is ideal for those looking to take out their licence out and also any current amateur licence holder wanting to improve and get ahead of the game!” said Richard. Riding at least 1 lot per day which is filmed and reviewed. Individual fitness assessment & advice to suit your needs. Diet & Nutrition advice from a leading sports nutritionist. This annual course runs from 31st March to 2nd April 2009 and costs £450.00 inclusive of all tuition, food and accommodation. For more information or to book a place on this course, please contact Clare Higgins on 01638 675907 or e-mail clare@brs.org.uk. HURRY WHILE PLACES REMAIN AVAILABLE! SIMON KEEPS HIS ALL-WEATHER CROWN AND 4 AMATEURS SHARE THE RUNNER-UP SLOT! With Simon Walker already safely retaining his All-Weather Championship for 2008/9 (with 26 points), today’s final two races at Wolverhampton determined the runner-up slot with an unusual final result. The first division of Arena Leisure Catering’s race was won by Chris Martin, giving him his second win on the all-weather this season to share second place in the tables with Michelle Bryant, Oliver Greenall and Patrick Millman (all on 10 points). The second division was won by Will Biddick, better known for his point-to-pointing and jump racing successes, which took his all-weather seasonal tally to 6 points. With none of today’s placed riders being top scorers this season, the runner-up slot for this season is shared for the first time ever by no less than 4 amateur jockeys, all on 10 points each! Congratulations to everyone who has enjoyed riding a winner this season, and especially of course to Champion Amateur Jockey Simon Walker and the four championship runners up.